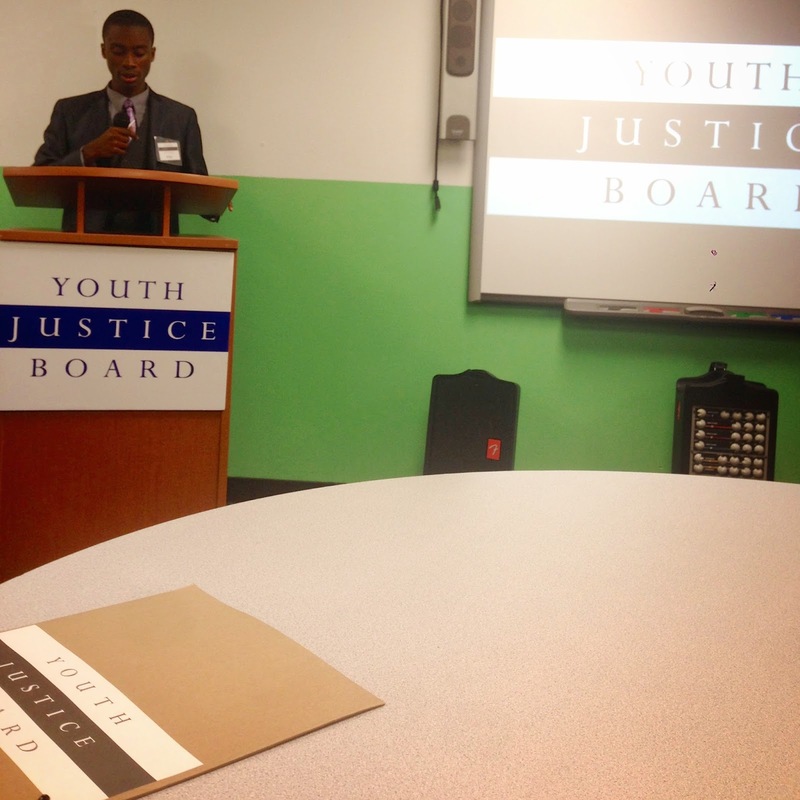 Tonight, the Youth Justice Board, our after-school leadership program that seeks to bring the voice of New York City teens into policymaking decisions, unveiled its latest product during a presentation at the Manhattan Referral Center for High School Alternatives. In partnership with the Center for Urban Pedagogy, the Youth Justice Board has created a new website dedicated to providing disconnected young people with access to the kinds of resources they need to get back in school and working towards a better future. This is the same partnership that produced one of my all-time favorite Center for Court Innovation products -- the I Got Arrested! Now What? comic book -- so there are good reasons to be excited about the new website, which should go online in the next couple of months. The website is designed primarily to be used on a smartphone and offers answers to common questions faced by young people who have dropped out of school, as well as links to a variety of social service providers. After a keynote address by the great Tim Lisante of the New York City Department of Education, the members of the Youth Justice Board walked the audience through how a typical teen would use the website. They were so much more serious and poised than I was at a similar age, it isn't even funny. The fact that the crowd included high-ranking officials from the Mayor's Office and a range of government and non-profit agencies didn't faze them in the slightest. Tonight marks the culmination of the Youth Justice Board's efforts to study and combat chronic truancy, which included issuing the report From Absent to Present: Reducing Teen Chronic Absenteeism in New York City. Next year's cohort will take on a new subject: creating new diversion options for the NYPD. I can't wait to see what they come up with.